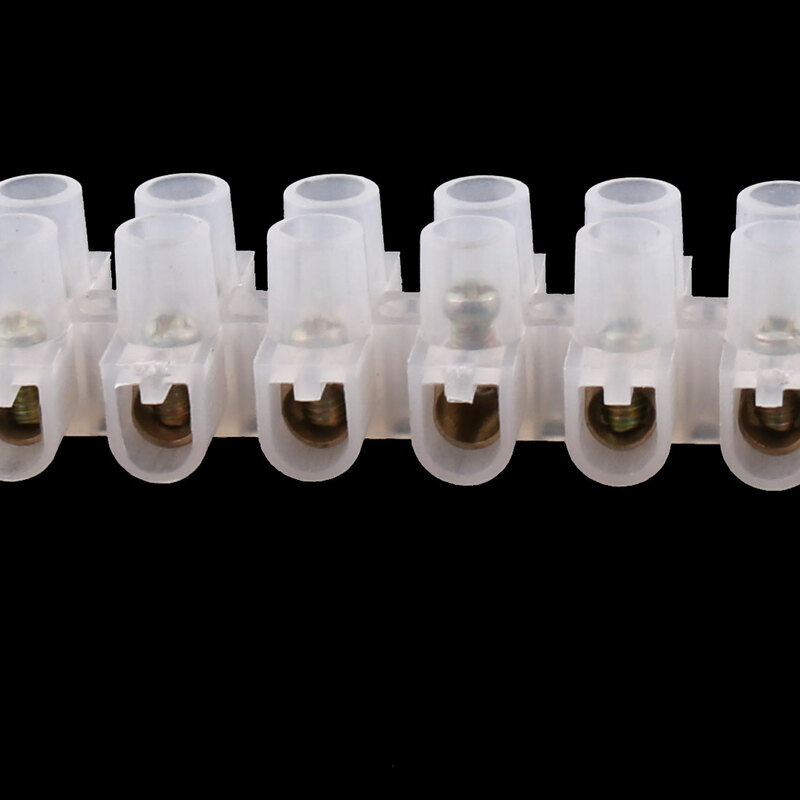 Terminal block with 2 rows, 12 postion, wire protector 380V 3A .8mm pin spacing, screw type, PCB mount. Widely used in electronics, communication equipments, instruments, calculator, automatic control system, domestic appliance and warning devices, etc. Position: 12P Double Row; Pitch: 8mm/0.3"